Seattle’s Blackbird boutique excels in many aspects of menswear, but their vintage department is a virtual trove of hidden treasures. 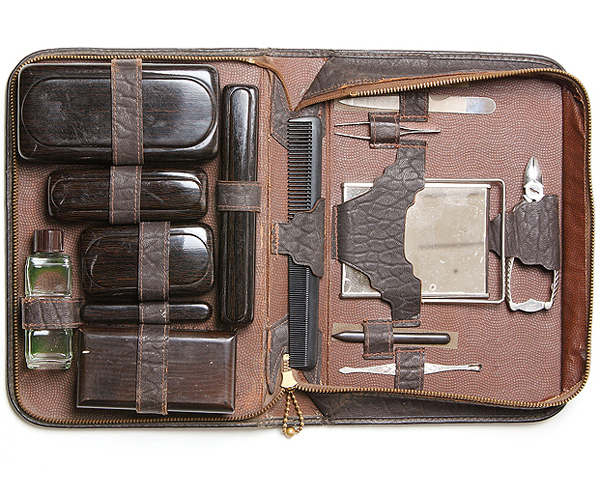 Among them is this beautiful vintage grooming kit fashioned from walrus leather that has a rich, textured look that nothing but time can bestow on an item. The gold zippered main compartment opens flat to reveal a coterie of essential travel accessories: Mirror, comb, tweezers, nail clippers, file, cuticle push, roll-on fragrance bottle, soap cases, toothbrush case, razor with case and a small hand brush. 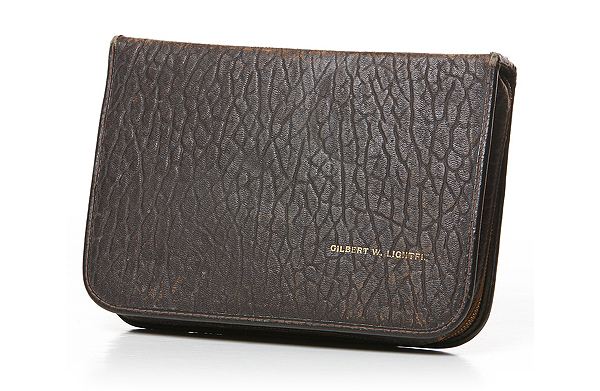 For $125, it’s pretty much the perfect travel toiletry kit for whatever gentlemanly endeavors you might tackle.